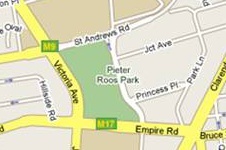 Note that the entrance is in Park Lane, opposite Princess Place. We share parking with the Brenthurst Clinic. The running of a Lodge incurs various costs and the Lodge also pays dues to the District and Grand Lodges for their expenses. These costs are recovered by charging annual membership fees. There are also costs associated with the initiation of a new member. Being a Universities Scheme Lodge, these costs are discounted for bona fide students under the age of 25 years. The discounted costs for President Lodge in 2013 are as follows. You need a Dinner Suit (Tuxedo) or a black suit, a white shirt and a bow tie. If you would like further information, or wish to discuss joining, please e-mail us.